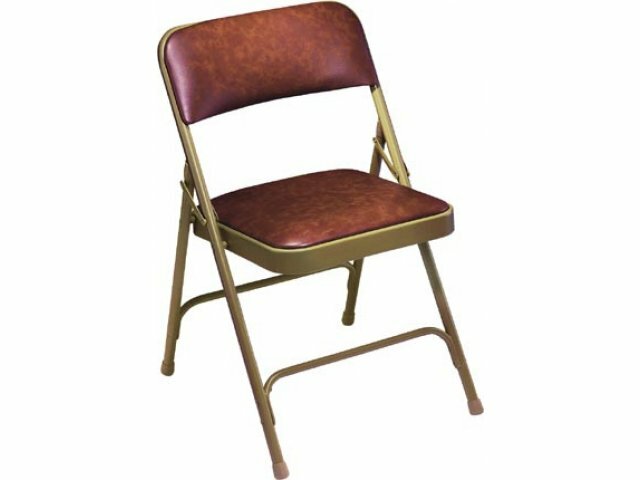 Folding chairs that have vinyl upholstery resist tearing and are easy to clean. 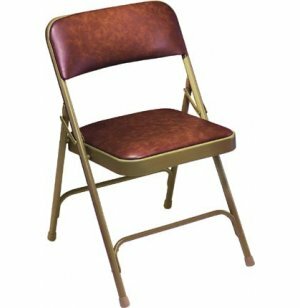 This vinyl-upholstered, double-brace folding chair is designed for a school, church, or other institutional setting where it will see a lot of use. 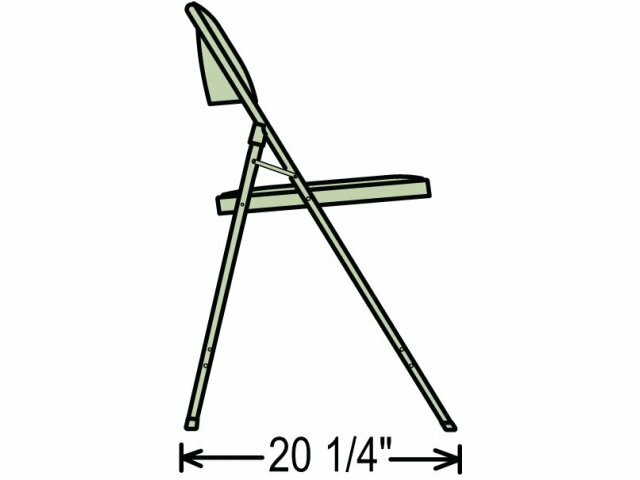 Two 18-gauge steel braces give the chair added stability and longevity, while a double-hinged design on each side of the chair eases opening and folding down. 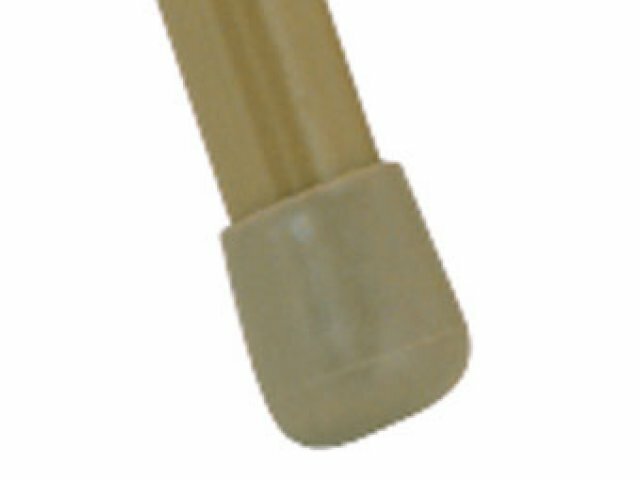 Replaceable glides help protect floors and match frame color. The seats and full-size back have an ample 1-inch of padding for comfort. 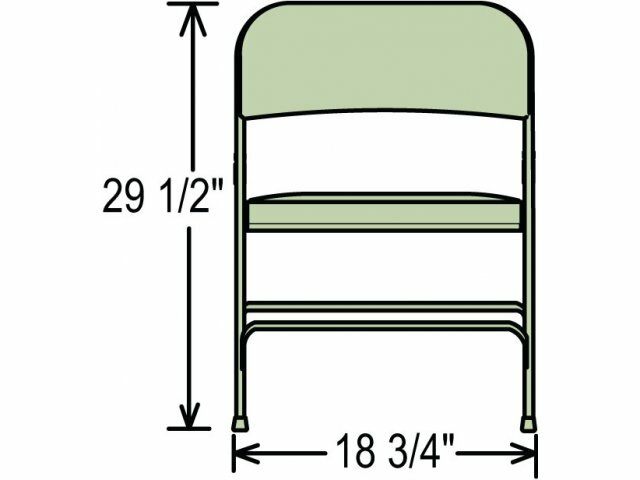 While most folding chairs are rated at a 250-pound seating capacity, this chair is rated at 480 pounds. 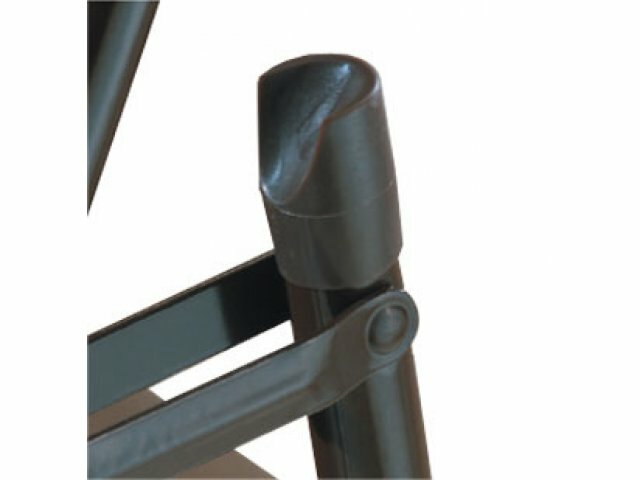 Durable:Upholstered in .80mm vinyl over 1.25"-thick, 0.9 lb. density foam seat and 1.2 lb. 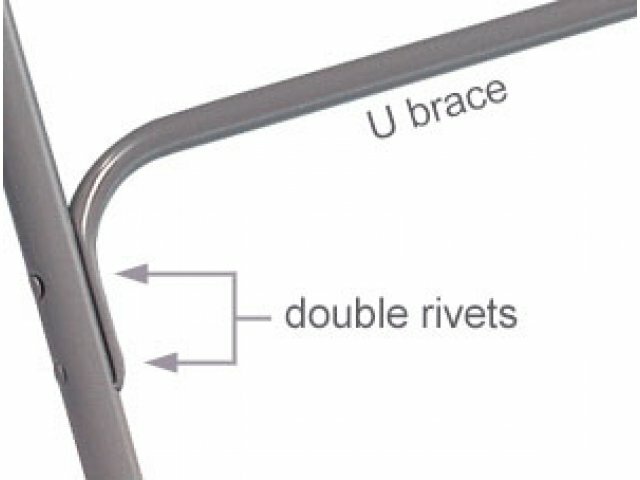 density back, 19 mil vinyl for institutional strength. 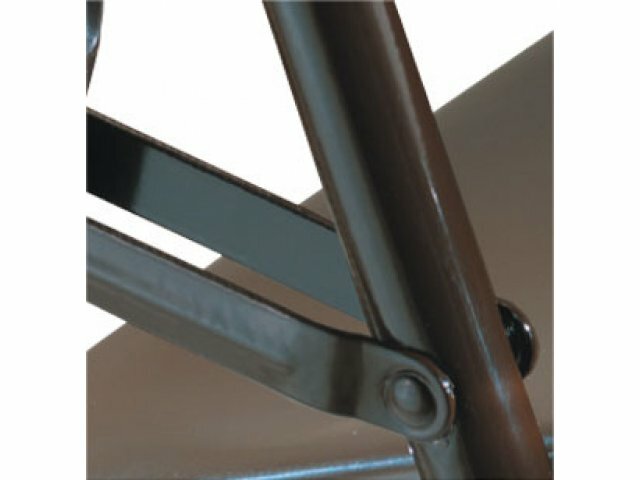 Strong: Frame is double U-braced, and all connection points are made with rivets (not screws) for long life.